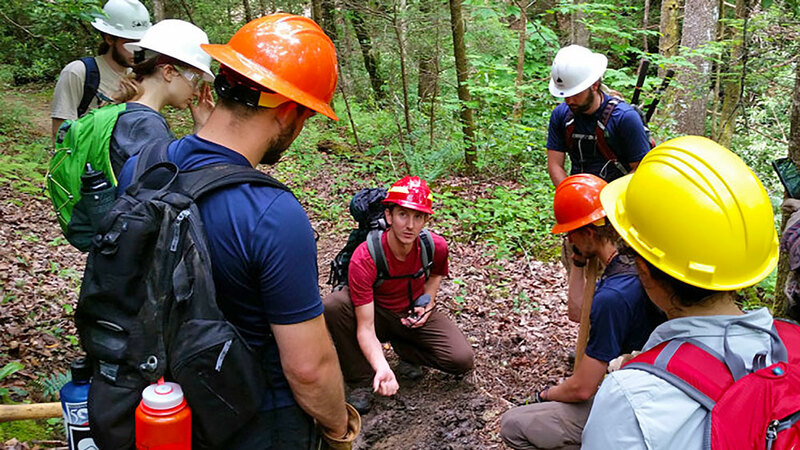 BREVARD, N.C. (Feb. 7, 2019) – Dedicated individuals seeking to further their skills and experience in environmental conservation are invited to apply for the 2019 Wilderness Skills Institute (WSI), a two-week training course that provides a variety of instruction on basic to advanced-level skills necessary for working in wilderness environments. Held on May 20-24 and May 28-31 at the Cradle of Forestry near Brevard, North Carolina, the Institute will cover a range of essential skills from wilderness first aid to crosscut saw and axe certification. The Wilderness Skills Institute provides training that is necessary for safely and effectively working in remote backcountry environments. The ATC was founded in 1925 by volunteers and federal officials working to build a continuous footpath along the Appalachian Mountains. A unit of the National Park System, the A.T. ranges from Maine to Georgia and is approximately 2,192 miles in length. It is the longest hiking-only footpath in the world. The mission of the ATC is to preserve and manage the Appalachian Trail – ensuring that its vast natural beauty and priceless cultural heritage can be shared and enjoyed today, tomorrow, and for generations to come. For more information, visit www.appalachiantrail.org.